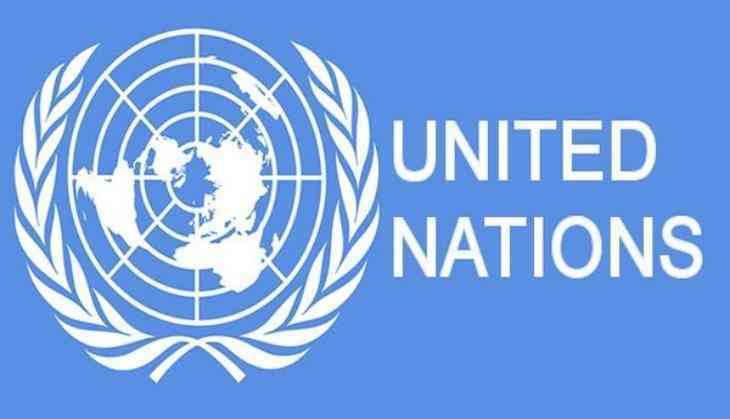 India has lamented the inability of the UN to adopt a legal framework to combat international terrorism, saying this "lacunae" is impacting enforcement efforts to destroy safe havens for terrorists and their support networks. Yedla Umasankar, First Secretary/Legal Adviser in the Permanent Mission of India to the UN, said here on Wednesday that India firmly believed that a Comprehensive Convention against International Terrorism (CCIT) would provide a strong legal basis for the fight against terrorism and would be in the interest of all Member States to have a multilateral and collective dimension of counter terrorism effort. Speaking at the meeting of the Sixth Committee, which deals with legal issues, on 'Measures to Eliminate International Terrorism', he said the international community needs to work together to expose and destroy the linkages that exist between terrorists and their supporters. There is need also for an international mechanism to ensure accountability and justice, enhanced dialogue and broaden understanding amongst Member States. "The inability of the United Nations to agree on a Comprehensive Convention on International Terrorism, even when terrorism hovers over us, remains one of the most important lacunae in the international legislative framework that would expand enforcement efforts to destroy safe havens for terrorists, their financial flows and their support networks," he said. He also said that over the last decade, the Global Counter-Terrorism Strategy (GCTS) being discussed by the UN General Assembly has witnessed little practical impact on the ground. "The Sanctions Committees established by the UN Security Council have become selective tools due to opaque working methods and politicised decision making," he said. Veto-wielding nation China has repeatedly blocked India's bids at the United Nations to list chief of Pakistan-based militant group Jaish-e-Mohammed (JeM) Azhar Masood as a global terrorist. Stressing on the importance and need for early finalisation and conclusion of the draft CCIT, Umasankar said nations have to realise the gravity of the scourge of terrorism and move forward for adopting the draft text of CCIT which is a balanced one and has emerged after long discussions. Umasankar told the meeting that as a country that has been facing the scourge of terrorism, India understands the implications of this global problem and has been very active and played a constructive role in the discourse on counter-terrorism. "Indeed, our entire region, South Asia, has been impacted by the activities of terrorist organizations like Al Qaeda, Taliban, Lashkar-e-Taiba, Jamat-Ud-Daawa and others. The growing interlinkages between terrorist groups, cross-border operations including terror financing networks, propagating ideologies of hatred through exploitation of modern technologies and funding arms and weapons have certainly left no country aloof from the impact of terrorism," he said. In a veiled reference to Pakistan, he said some states are sponsoring the terrorist entities including providing safe havens to fulfil their political agenda. "Terrorism is a matter of serious concern. It is posing a serious challenge to the entire international community as its reach has spread to an extent that the terrorists can strike at places and at times of their choosing with intent to cause maximum possible damage, destruction and death of innocent persons," he said. India strongly believes that terrorism can be countered by combined international efforts and that the UN is best suited for developing this transnational effort. On the legal front, he said India considers that the intricate linkages and networks that unite terror groups can only be challenged through concerted international cooperation and efforts by way of extradition, prosecution, information exchange, and capacity building. India welcomed Secretary-General's initiative to establish the Office of Counter Terrorism (OCT) as a positive development. The Government of India had announced a voluntary contribution of US USD 550,000 for this office. India reiterated its strong support to the UN General Assembly resolution of December 2017 that recommends for the Sixth Committee at the 73rd Session of the General Assembly to establish the Working Group with a view to finalising the process on the Draft Comprehensive Convention on International Terrorism.